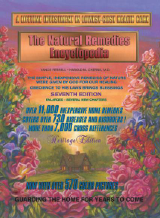 This new 7th Edition of the 8.5 x 11, hardback NATURAL REMEDIES ENCYCLOPEDIA has 840 pages, covers over 730 diseases and disorders. Complete resource for information on herbs, hydrotherapy, nutrition, and more. You may browse contents of NATURAL REMEDIES ENCYCLOPEDIA online before buying. 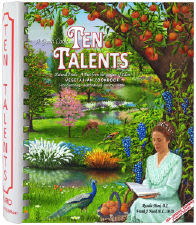 Published by Harvestime Books.